Tiki World Rejoice!! This is super exciting! 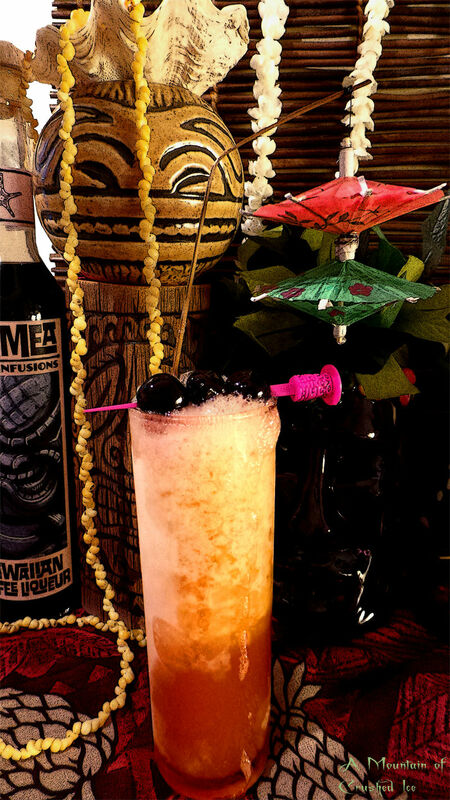 four stunning products will soon be released (in october) that I know especially the tiki world will LOVE! It`s the Tiki maestro Daniele Dalla Pola behind them, you know that guy who loves pineapples so much? and builds up a real show during his entertaining presentations? 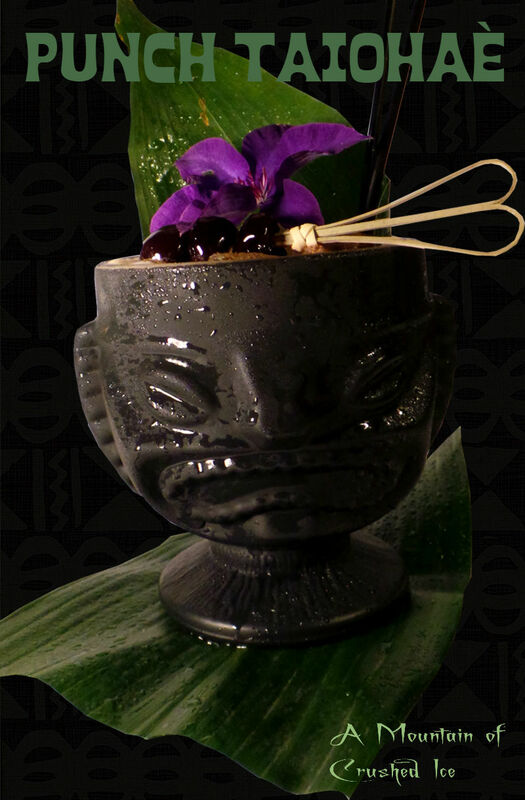 and not to mention amazing tiki drinks and tiki drink photography, plus he owns the Nu Lounge Bar in Bologna, Italy. 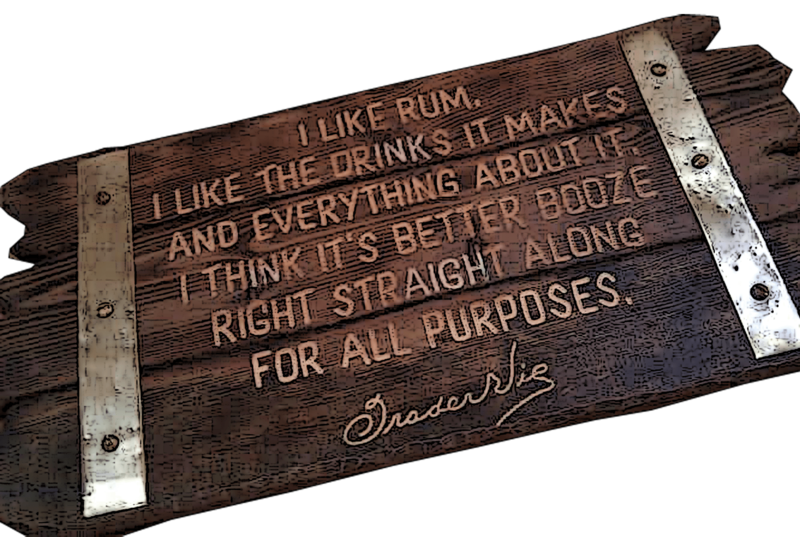 The vintage style tiki labels on these products are something you really want in your tiki bar or home bar or any bar for that matter. They are stunning work of exotic tropical art! And the products? I have tasted them all and they are just as good as i thought, or even better. Personally I do not ever want to not have them in my home tiki happy place/bar. These will be available for shipping worldwide and I will update in this post when the website is ready. The name Alamea on the label is named after a starfish species (crown-of-thorns starfish). An old Samoan saying is that among Samoan traditional fishermen it has been said that if you happen to get stung by the spines of the alamea, you should turn the starfish over and have its spongy-like feet touch the area where you have been stung and the alamea will heal its own doing. 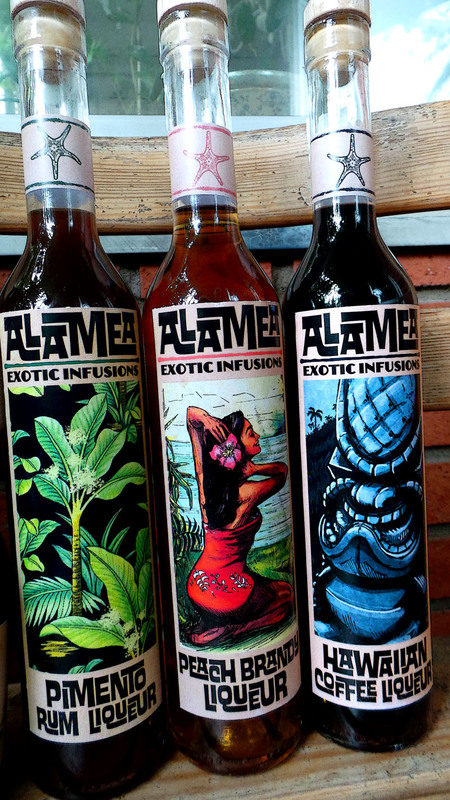 Here are my taste notes and impressions of the Alamea Hawaiian Coffee Liqueur, Peach Brandy Liqueur, Pimento Rum Liqueur and Spiced Rum. Deep Coffee flavor from Hawaiian coffee…sumptuous and satisfying. I tasted it side by side with the Hamilton Pimento Dram and I find the Hamilton to have more punch and body but this one to be more refined and frankly I like them both equally much. I think they can be preferred in different drinks depending on how heavy the drink is. Sometimes a heavier or lighter pimento dram may be called for. This one is so good I could lick the bottle, it´s just so incredibly TASTY! made from fresh peaches of italy. One of the best spiced I`ve had. I`m usually not a fan of spiced rums so very much but it depends, and this one I find to be good and not too sweet (super important when it comes to spiced rums) and with natural flavors. You will see more of these products on this website in the future because I know I will use them a whole lot. So now…on to the drinks! 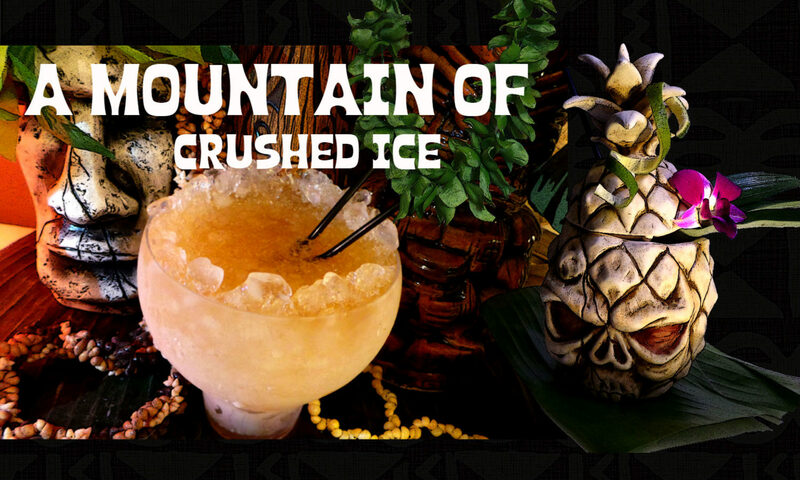 these are fun to mix with and a great addition to the tiki and other exotic (and other) cocktails. Blend in blender with 1 cup/2.5 dl crushed ice and pour into a zombie (chimney) glass and add more crushed ice if needed. Garnish with cocktail umbrella and speared Fabbri Amarena cherries. Make a simple syrup with 2:1 ratio of demerara sugar and water (about 1 cup/2.5dl of sugar) and slice 1 banana in it and mash slightly with a fork and bring to boil, then simmer on medium-low heat for a couple minutes. Take off heat and leave to cool and settle for about 1 hour, then strain and bottle in a clean bottle. Make the Banana Cream Mix and keep it slightly above room temp for use. 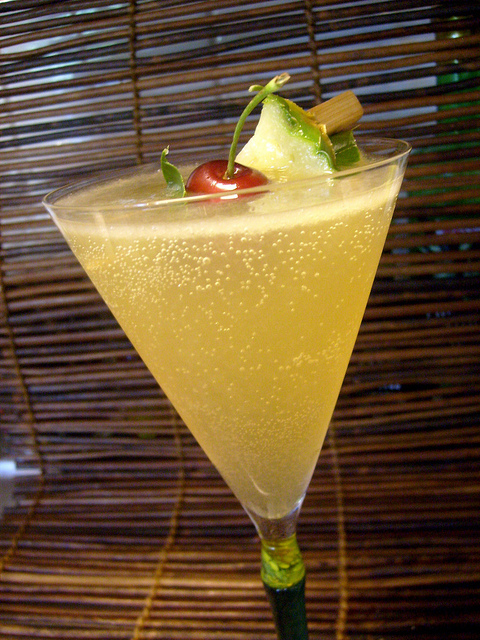 This is sumptuous and delicious….perfect for tiki drinks with pineapple, banana and coffee. Blend with 1 cup/2.5 dl crushed ice or shake very hard with ice cubes to get that cream of coconut to mix in perfectly and pour into a tiki mug filled with crushed ice. 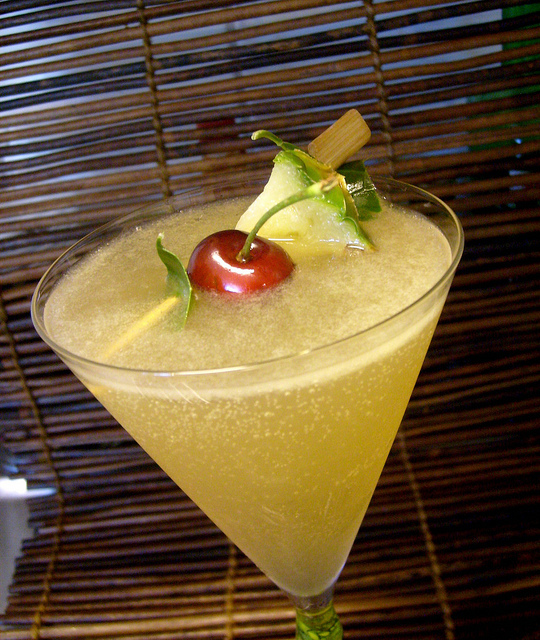 Garnish with grated nutmeg, flower, tropical leaf and 3 speared cocktail cherries, Fabbri Amarena or Luxardo. The Southern Cross is a cocktail that is most likely named after the star constellation Crux commonly known as the Southern Cross. I stumbled upon a blog post by my friend Trader Magnus which featured this interesting cocktail from the book “The Flowing Bowl” by William Schmidt’s in 1891. I decided i needed to try this one, and then I also made a twist of it using Smith & Cross rum instead of Cruzan and Grand Marnier instead of orange Curacao and finally a pineapple infused soda water. It`s important to not use too much soda or mineral water in this drink, it will become too dilluted I found out, so use only a little. The recipe doesn`t call for any garnish so it`s not really necessary but since I happened to have both fresh cherries and pineapple at home I decided to use them. There`s also a Swedish version from a book called Cocktails by Elsa af Trolle from 1927 with a slightly different recipe. I was forewarned that the Swedish version used too much sugar (1 tbsp) so it may be taken down to 1 barspoon. But let´s start with the one using Smith & Cross Jamaican rum ( just because this rum is so damned good) I give it a new name since there´s more changes than just brand of base spirit. 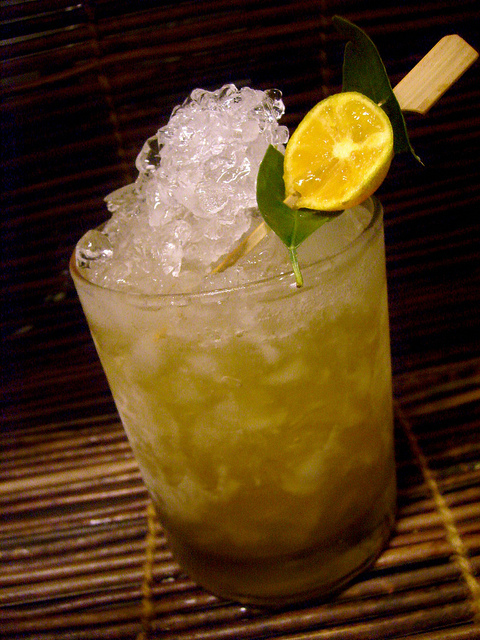 Shake, and strain into a double old fashioned glass with crushed ice Garnish with speared pineapple chunk. I would say that the Smith and Cross is what makes this cocktail the most. I also tried this recipe with aged Cachaca (Abelha Gold) and equal parts fresh lime and kalamansi juices and it was quite delicious. Stir this well, fill your glass with fine ice, stir again and strain into a sour glass. I didn´t have any Cruzan so i used Plantation Barbados instead. It was a bit too sour with juice from one whole lime in my opinion, but then again our Brazilian limes here are as big as two ordinary limes. Stir this well, fill your glass with fine ice, stir again and strain into a sour glass. The Swedish recipe suggests shaking the ingredients and strain into a glass with some ice cubes. A tablespoon of sugar might be too much, depending on how large your lemon is, so adjust accordingly. 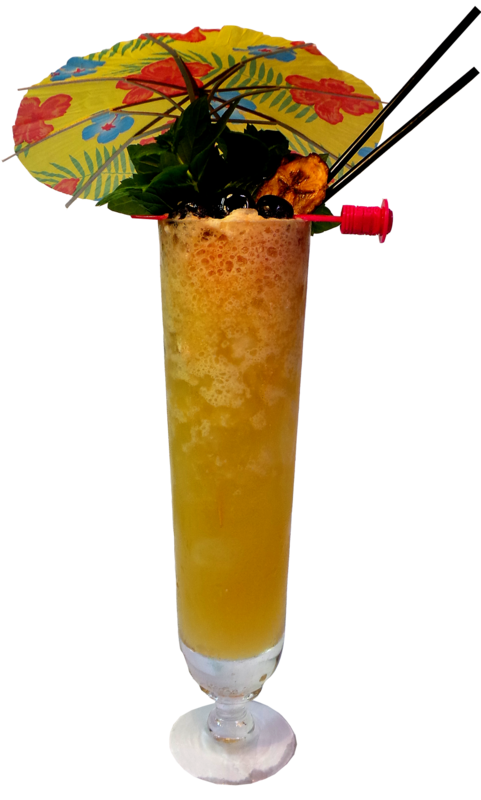 To sum it up, the name of this cocktail is more exotic than the cocktail itself but since this cocktail is so simple it lends itself for playing around with – try different rums! Also it might be nice to sweeten partly with honey. Overall a quite pleasant cocktail and worth trying out but not one of those that i keep. These are two gorgeous cocktails. The Herbsaint frappè is the Herbsaint signature cocktail and a frappè (fra-pay) is an iced drink where the outer of the glass is covered with a thin film of ice from the stirring. You fill the glass to the brim with cracked ice and pour in the liquid and stir until you get that film on the outside of the glass. There are recipes where this drink is shaken too but i prefer the stirring method. Then you either keep the ice in the glass or strain out the liquid into another glass that is chilled and remove the ice from the frosted glass before pouring the liquid back again. This is so that the drink doesn`t get dilluted. Now you have an ice cold frosty frappè to enjoy by sipping it slowly. I personally like the nice touch of adding a few dashes of Peychauds or Creole Bitters on top, it adds a nice color and a little spice. Pour the liquid in a glass and add 3/4 of cracked ice. Add the simple syrup or sugar and the carbonated water. Fill the glass with more cracked ice and stir until you get that frost on the outside. Strain into another glass that is chilled and remove the ice from the frosted glass and pour back the liquid. Now you have a frosted herbsaint frappè. Use absinthe and you have an absinthe frappé. Cover Glass with a shaker and shake until frosted-strain into a chilled small glass and serve. A true New Orleans classic and invented in 1852 by Joseph Santina who owned and operated the City Exchange on Gravier Street. It has a unique and stunning garnish in that a large lemon peel almost entirely coats the inside of the glass which also has a sugar rim. Start with moistening the rim with lemon and then coat the rim heavily with fine sugar. Peel ½ inch wide and long lemon peel, long enough to go around the whole glass on the inside. Shake the ingredients with ice and then strain in to the glass. Use a wine or cognac glass or a double old fashioned glass. Its a very balanced drink where sweet and sour meets strong and the garnish peel adds another dimension as do the sugared rim, – this is a also great cocktail. Tales of the Cocktail may still seem far away but time flies and what is more fitting prior to the Tales than mixing up some genuine cocktails from the city where the cocktail was born and where the Tales of the Cocktail is celebrated each year since eight years back now. There´s no city in the world that knows how to throw a party like they do in New Orleans and with party usually comes also cocktails. I think there are “cocktails” and there are “drinks” – like those popular go-cups you see on Bourbon st and they may have their own charm but here i`m gonna talk about genuinely hand crafted and wonderful cocktails, some of the best that have ever been made. I`ll have to break down my posting about these awesome concoctions into a few posts. If you`re interested in the history of the cocktails of New Orleans and have a chance you should visit the Museum of the American Cocktail now on april 5th when Darcy from Art of Drink will make a presentation on the influence of soda in cocktails, specifically those of New Orleans. You can read more about this here. This is the signature cocktail of the famous Carousel bar in the hotel Monteleone.This particular bar is especially interesting since its made from parts of an actual old carousel that revolves around the bar which is circular. Luckily is not moving fast…but its moving…and it’s a funny experience – and of course you get well crafted cocktails there – its a must try if you are going to New Orleans and the Tales. You`ll sooner or later most likely find yourself in one of those marvellous barstools and when you do – take your chance and try the signature cocktail the Vieux Carrè – The old square – as its called – after the French quarter which is built like a square and where Monteleone also is. It was first mixed by Walter Bergeron in the 1930s. Aromatic with the vermouth and nicely boozy but not too much, this cocktail is actually easy to drink. If you like rye then this is for you. What you do then is starting it up with a handmixer in the glass incorporating air into it, mix for 20 seconds, then add ice and shake as usual for another 30 seconds. Now you`ve gained a lot of time and pain. This is also traditionally a morning cocktail – a day after refreshener. Usually i don`t start my mornings with a cocktail, i more likely have a coffee…but during Tales its more of a chance i would do that. In the right environment its a very nice thing. 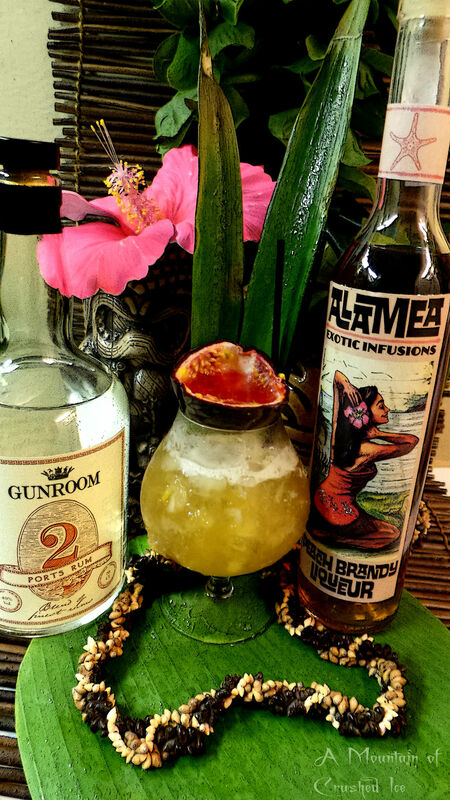 The Ramos gin fizz was invented by Henry C Ramos in his bar Meyer`s Restaurant. It was orignally called the “New Orleans Fizz” and an armada of “shaker boys” used to take turns to shake it to the right consistency. This was before the prohibition. The poularity of this drink faded away with new times and new speeds but today when old cocktails are ressurrected again its more served also outside of New Orleans. The fluffy dreamy texture comes from the egg whites and using raw eggs in cocktails is nothing to fear – but if raw eggs is an issue there´s also powdered egg whites and they are simply egg whites where water has been removed. I have never tried it though. The secret in this cocktail is the combination of egg white and a touch of orange flower water. Shake all ingredients except the soda and shake very well, when you think you`re done, shake some more – the more the better – and shake first without ice and then with ice – so that the egg white emulsifies and the drink becomes very cold and frothy. (Or use the handmixer way to do it – but really if you want to follow tradition…shake, shake, shake..)Then strain into a chilled highball glass without ice. Top with a little club soda to get some fizz. No garnish – usually, but if you like to – a thin strip of orange, lemon or lime peel/slice is nice i think. Now that`s a nice cocktail! Oh how fast time flies, its time again for yet another Mixology Monday, and this time its hosted by the Wild Drink Blog.Thank you for hosting! I really like this topic, its really fun to try to make a twist of a classic cocktail thus giving the opportunity to play with ingredients and flavors. The good thing is that you also develop your palate and sense of flavors during the process of both failing and succeeding. Its a good thing i have a lot to learn which means i have a lot of cocktail mixing ahead! Tristan also wants to know which is the favorite song to dance the twist to, so i got to say Do the twist with Fat Boys and the original with Chubby Checker. Take 2 dashes Angostura bitters. Shake up well with two small lumps of ice ; strain into a claret glass, and serve with a quarter of a slice of lemon. Now my twist on this ended up being a totally different drink, no surprise, substituting whiskey with bourbon, brandy with Metaxa and vermoth with Campari. Then adding a few new ingredients: honeymix, lime and Creme de Cassis. Shake and strain into a chilled cocktail glass, serve up.If you like, top with a splash of Club Soda. Garnish a pineapple leaf. First i thought of using rye but then i realized i didn´t have any so i picked my Bulleit instead. The Angostura bitters and brandy were subbed with Campari and Metaxa and for some zing, a sprinkle of fresh lime. I didn`t find the color deep red enough so i added a splash of Creme de Cassis to deepen it. The drink was tasty, and i think Metaxa, Bourbon and Campari goes quite well together. So while i`m at it with the bourbon, next up is the Whisky Daisy. Now for the fun of it i want a total change! I figured the Whisky Daisy had to be transformed to something with a bitter edge as well and my mind inevitably went back to my very much beloved Campari. Then my thoughts went further to the little bottle of Bob´s vanilla bitters on my shelf and which i like very much.Vanilla and Campari? nothing i`ve tried before so why not? even though i was wondering if the Campari wouldn`t overpower the vanilla flavor i just had to try it still, after all – making a twist is all about experimenting with flavors and if it doesn´t turn out tasty, well then at worst the drink has to be zinked and you have learnt something on the way. Take 3 dashes gum syrup. 1 wine-glass of Bourbon, or rye whiskey. Fill glass one-third full of shaved ice. Shake well, strain into a large cocktail glass, and fill up with Seltzer or Apollinaris water. I first used 1 oz lemon juice but found it a tad sour so in my 2nd drink i reduced it to 0.5 oz. The 0.5 oz vanilla-gomme syrup plus a barspoon grenadine makes it sweeter. Then instead of ice cubes i used crushed ice and the addition of Campari plus vanilla bitters added a pronounced and a pleasant bitterness. The vanilla flavour was lingering subtly in the background. I simply did split a vanilla bean and simmered it with my already made gomme syrup and then let cool. If these are superior twists? heh.. but still tasty! Hailing from Greece, this is truly a unique spirit – a blend of brandy and wine – produced from three varietes of grapes, Savatino, Sultanina and Black Corinth. These are blended with aged muscat wines from Samos and Lemnos. Then its aged for a minimum of 3 years before being flavored with a secret mix of herbs including rose leaves and distilled water. The mix is then allowed to marry for a least 6 months and is then chilled at -6C for 48 hrs and after that finally filtrered before bottled. The final product has a very complex and unique aromatic character that has aromas of pepper and roses, bay leaf, cinnamon and nutmeg, aromatic and spicy indeed and at the same time its very smooth. Metaxa was invented by Spyros Metaxas in 1888, from the Attica region – the province of Athens, and who wanted to make a drink that conqered the world and it has actually even survived the 2 world wars and was the first alcoholic drink consumed in space. Now its exported all over the world and is among the top 50 spirits brands in the world. So conquered the world his drink did indeed! By just reading these taste descriptions before i tried it i could almost feel the spiciness and i wasn`t dissappointed. Its rich, smooth, warm, spicy and earthy with undertones of citrus and something i cannot put my finger on what it may be – but its very pleasant. I was also quite astonished to discover that some drinks brought out a hint of a sort of slight medical aftertaste while others didn`t. Its surely a very intriguing spirit and certainly this is more than a brandy, it sits somewhere between a brandy and a liqueur. The one Metaxa i can find here i is the 5 star and as far as i understand from what i hear its quite different from the 7 star which everybody from the US used during the Metaxa TDN. The 5 star is a dark honey color, woody with a light fruit taste, aged in oak for 5 years. Its rich, smooth and mellow and as i described above. The 7 star is even smoother as its aged longer and therefore i wonder if the 5 star isn`t a bit better suited for mixed cocktails. Its nice too on its own though with some ice. There`s also the Private Reserve, which includes some very old distillations – roughly some 50 years old and is said to have marvellous aromatic flavours of cocoa, vanilla, wood, pepper and dried fruits. Fullbodied and meant to sip like you sip a fine cognac. Further we have also the 12 year which contrary to the others do not contain any muscat wine and is more tasting like a whisky with a smoky flavour profile and with more burn. Dry, rich, but sharper than the rest, with perfumes balancing well with the fruit, wood and spices. There are also released a 15 year old “Grand Fine” and a few other exclusive anniversary bottlings such as Metaxa Centenary, Rhodes, Golden Reserve, Grand Olympian and Golden Age. I myself wouldn`t mind laying my hands on a Metaxa Centenary Private Reserve which comes in a beautiful ceramic bottle shaped like a greek amphora and plaited with 18k gold.This bottle was launched for celebrating 100 years of success (1888-1988) and is now a unique collectors item. The content in this beautiful bottle is Metaxas oldest distillates. So the TDN was a always pretty crowded with all manner of cocktail related folks in the Mixoloseum chat room, and there were the SF crew too, all gathered in Erik`s house doing their best to wreck his homebar. The winning cocktail for this TDN will receive a Bitters Blueberry courtesy of Greg Boehm from Mud Puddle and it will also enter the Imbibe Ultimate Metaxa Cocktail Contest. As always, there was an array of cocktails made and fun it was! (it always is) All the cocktail recipes you can find at twitter – Mixoloseum. Naturally Metaxa mixes very well with lemon but i also used lime in one of my recipes, it also goes well with honey. 1:1 Sweppes lemon and Fevertree bitter lemon to top. Shake, strain into chilled cocktail glass.Top with 1:1 Fevertree bitter lemon and Schweppes lemon.Garnish lime twist. Top with Ting or a grapefruit or lemon soda. Muddle basil, lemonjuice and honeysyrup in glass, add ice, Metaxa and gin. Stir. Top with Ting or a grapefruit or lemon soda. Garnish with a veritable forest of fresh Thai sweet-basil. Top with Prosecco, garnish lemon wedge. Rocks glass. Very simple and Metaxa works well with both Aperol and Prosecco, in fact i have found that it works well with a lot of things. Top with Sanpellegrino Limonata. Garnish lemon twist. Rocks glass. Rinse the glass with absinthe and fill with cracked ice. Add Metaxa and a sprinkle of fresh lemon juice, stir. Top with some Sanpellegrino limonata or other lemon soda. Garnish with a lemon twist. First i didn`t know what to mix this with but through all my experimenting during this Metaxa TDN i have found out one thing, and that is that it definetily mixes well with many ingredients as well as being very tasty neat. Its now a part of my drink mixing arsenal. Actually i wonder how come i haven´t tried it before? it was a pity i was a bit underage when i was in Greece.